A bedtime book that's brimming with love! Show little ones how much they are adored with this beautifully-illustrated story celebrating the unique wonder of a grandpa's love. From wisdom and guidance to strength and security, each spread highlights one of the many ways in which grandfathers add to a child's life. Some days grandpa is a protector guiding his grandchild to safety, other days he is a teacher, and other days he is a snuggly bear with whom you can laugh and play. Baby animals and colorful scenes invite kids of all ages into this heartwarming tale that emphasizes the importance of family connections. Inspires family reading timeBrings calm and comfort to kids at bedtimeDestined to become a family keepsake Foster the bond between grandfather and baby with this endearing book and its comforting message. 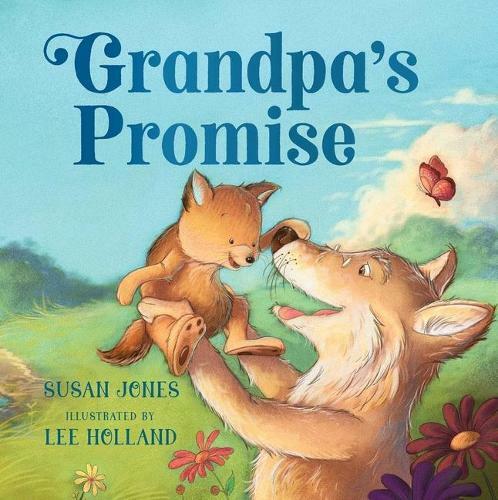 Grandpa's Promise speaks to children and adults of all ages and is the perfect addition to every family library.